What a way to start out the float. 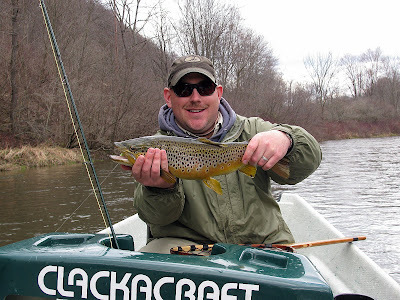 Mike hooked up a very hungry brown about 60 yards into the float. One of the best looking browns I have seen in some time. After changing to a sink tip and changing and new fly, I finally got on the score board with this aggressive brown along the bank. Probably my favorite part of the trip was dodging porcupines while driving up late Sunday Night. 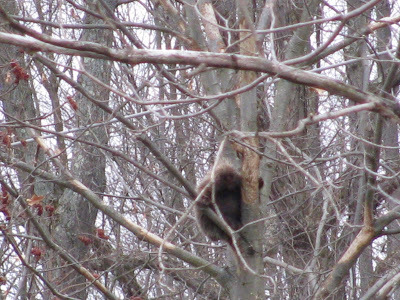 As you can see above, an average size prickle pig in the tree. After spotting a the Prickle Pig in the tree, Brian hooked up instantly within 10 feet of the boat while just stripping line out. 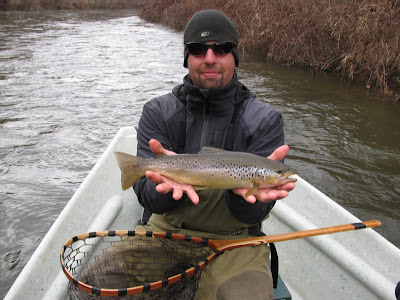 This brown had some great color and spotting as well. 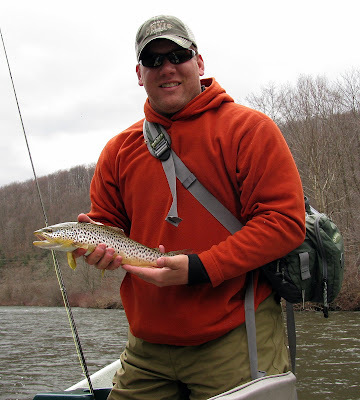 Brian did an excellent job rowing as well as with some techniques on how to fish this great fishery. Mike landed this big slab. This hog slammed his deceiver and knocked all of the flash off of it. What a fish. 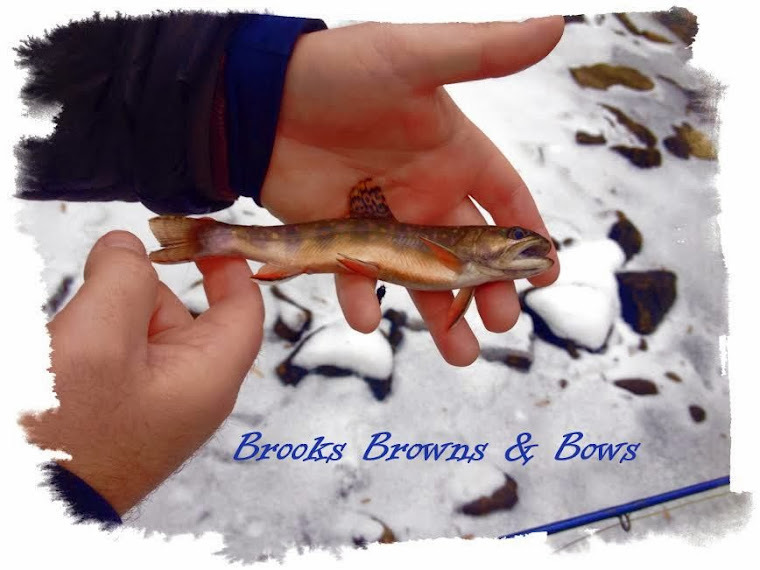 Being that this is the first time that I fished on this river, I was very impressed by the activity of the fish in these very cold conditions. We had caught a few more fish that were not included in these photos, but this trip had the making of a perfect day until the cold front really moved in. As you know we can't control Mother Nature. We had a hard time moving fish in the last 2.5 hours, but I will be back for sure. I would also like to thank the guys from Glendorn for a wonderful time and their hospitality. 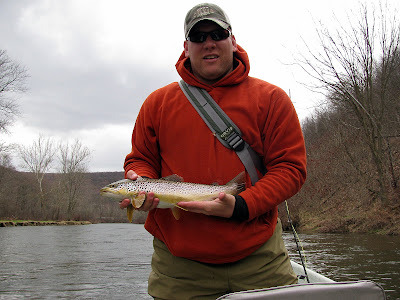 Damon Newpher and Brian Minich are top notch guides as well as good people. 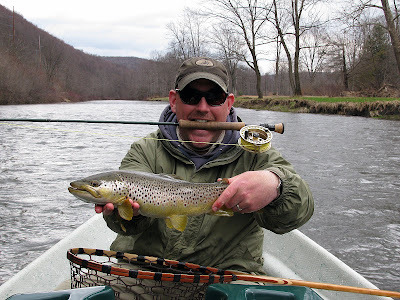 Check out their website for guided trips at Glendorn. It would be well worth it.